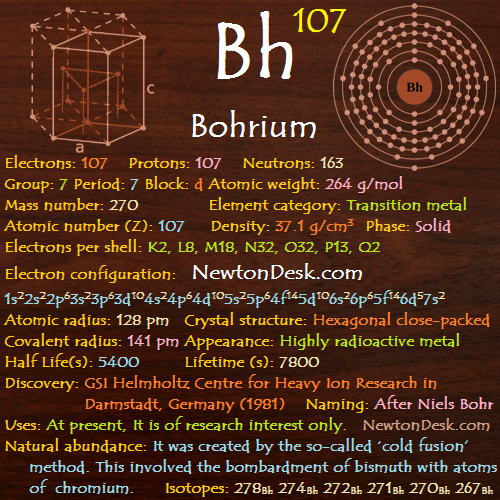 Uses – At present, bohrium is of research interest only. Natural abundance – It was created by the so-called ‘cold fusion’ method. This involved the bombardment of bismuth with atoms of chromium.